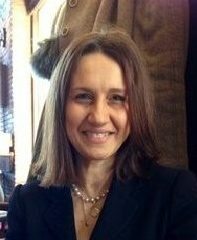 Lilie Chouliaraki is Professor of Media and Communications at the London School of Economics. Her research focuses on the nature of mediated public discourse from an ethical and political perspective. She has published extensively on the mediation of suffering in television and online news, on the communicative strategies of NGOs and the UN and on historical transformations in the communication of solidarity. Her publications include The Spectatorship of Suffering (Sage 2006); Self-mediation: New Media, Citizenship and Civil Selves (Routledge 2012) and The Ironic Spectator: Solidarity in the Age of Post-Humanitarianism (Polity 2012). Nick Couldry is a sociologist of media and culture. 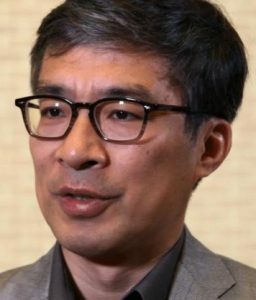 He is Professor of Media Communications and Social Theory, and Head of the Department of Media and Communications, at the London School of Economics and Political Science. 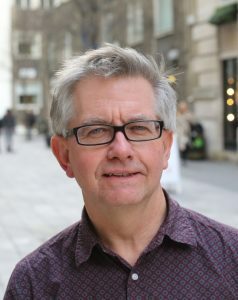 He is the author or editor of twelve books including most recently The Mediated Construction of Reality (with Andreas Hepp, Polity, forthcoming 2016), Ethics of Media (2013 Palgrave, coedited with Mirca Madianou and Amit Pinchevski), Media, Society, World: Social Theory and Digital Media Practice (Polity 2012) and Why Voice Matters: Culture and Politics After Neoliberalism (Sage 2010). 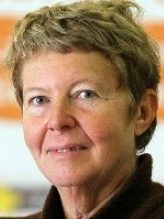 Donatella della Porta is Professor of Sociology in the Department of Political and Social Sciences at the European University Institute, where she directs the Centre on Social Movement Studies (Cosmos) and Professor of Political science at the Istituto Italiano di Scienze Umane. She has directed the Demos project, devoted to the analysis of conceptions and practices of democracy in social movements in six European countries. She is now working at a major ERC project Mobilizing for Democracy, on civil society participation in democratization processes in Europe, the Middle East, Asia and Latin America. Her main fields of research are social movements, the policing of public order, participatory democracy and political corruption. Her most recent publications include Can Democracy be Saved? (Polity 2013); Clandestine Political Violence (Cambridge 2013); the Blackwell Encyclopaedia on Political and Social Movements (with D. Snow, Bert Klandermans, and Doug McAdam); Mobilizing on the Extreme Right (with M. Caiani and C. Wagemann, Oxford University Press 2012); and Meeting Democracy (with D. Rucht, Cambridge University Press 2012). 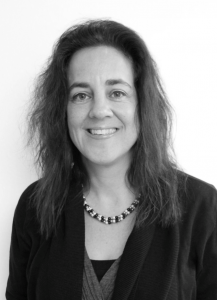 Marianne Maeckelbergh is Associate Professor of Cultural Anthropology at Leiden University, the Netherlands. 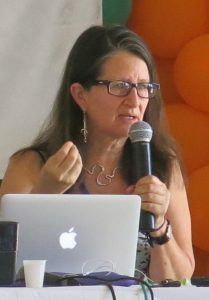 She is the author of numerous essays and articles on social movements and democracy, including her book The Will of the Many: How the Alterglobalization Movement is Changing the Face of Democracy (Pluto Press, 2009). 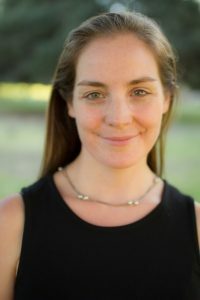 From September 2014 to August 2016 she is a Marie Curie visiting scholar at University of California, Berkeley working on a project about citizenship and digital technology. She is also on the editorial board of Social Movement Studies and is the co-creator and co-producer of the Global Uprisings film series. Clemencia Rodríguez is Professor in the Department of Media Studies and Production at Temple University (US). In her book titled Fissures in the Mediascape: An International Study of Citizens’ Media (2001), Rodríguez developed her ”citizens’ media theory”, a ground-breaking approach to understanding the role of community/alternative media in our societies. Currently she continues to explore how people living in the shadow of armed groups use community radio, television, video, digital photography, and the Internet, to shield their communities from armed violence’s negative impacts. This has involved fieldwork in regions of Colombia where leftist guerillas, right-wing paramilitary groups, the army, and drug traffickers made their presence felt in the lives of unarmed civilians. In her recent book, Citizens’ Media Against Armed Conflict: Disrupting Violence in Colombia (University of Minnesota Press, 2011) she reports many of her findings. She continues to teach in the areas of communication for social change, communication theory, and gender studies. Karin Wahl-Jørgensen is the author of Disasters and the Media (Peter Lang, 2012; co-authored with Mervi Pantti and Simon Cottle), Journalists and the Public (Hampton Press, 2007) and Citizens or Consumers? (Open University Press, 2005; co-authored with Justin Lewis and Sanna Inthorn), and is currently writing Emotions, Media and Public Participation for Polity Press. She is editor of the Handbook of Journalism Studies (Routledge 2009, with Thomas Hanitzsch) and Mediated Citizenship (Routledge, 2007). She is currently serving as associate editor of Communication Theory and is also a member of the editorial collective for the JOMEC Journal. Her research has been funded by the ESRC, the European Commission, the AHRC and the British Academy, among other organisations. Most recently, she has been Principal UK Investigator on a €4 million European Commission funded project on the European Public Sphere (EUROSPHERE) and has carried out research for the charity Public Concern at Work on the media representation of whistleblowers. 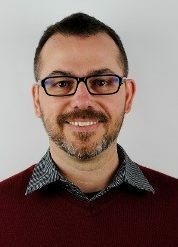 Mark R. Westmoreland is an Associate Professor of Visual Anthropology at Leiden University, where he directs the MA program in Visual Ethnography. His research examines the production of alternative visualities in the contemporary Middle East and his current book project, Catastrophic Images, shows how experimental documentary practices play a crucial role in addressing recurrent political violence in Lebanon. As a co-recipient of a grant from the Swedish Foundation for Humanities and Social Sciences, his current project focuses on the cultivation of radical political aesthetics and the generative potential of video activism in the Middle East. He is an award-winning filmmaker and has published widely in both scholarly journals and art catalogues. He also serves as the co-editor of Visual Anthropology Review. He previously taught at Stockholm University and the American University in Cairo.